Dr Wu graduated from the University of Queensland in 1997. He possesses an MBBS (Bachelors of Medicine/Surgery) and attained the FRACGP qualification. To stay abreast of the latest knowledge of diagnosis, treatment and management of various medical conditions, he regularly takes continuing medical education (both online and attending medical conferences). In March 2018, he attended the Advanced Workshop of Non-Scalpel Vasectomy at Brisbane Convention Centre. 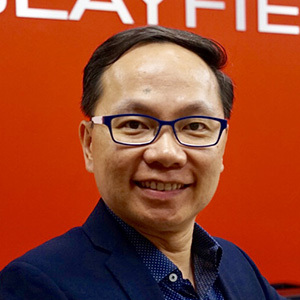 Outside of Clayfield Medical Centre, Dr Wu’s hobbies include seeing various musical and theatre productions, reading about classic vintage cars, travelling to experience different cultures and playing tennis. He also enjoys being an amateur photographer and is fluent in Mandarin Chinese. Dr Wu loves caring for patients of all ages. Contact Clayfield Medical Centre today to schedule an appointment!